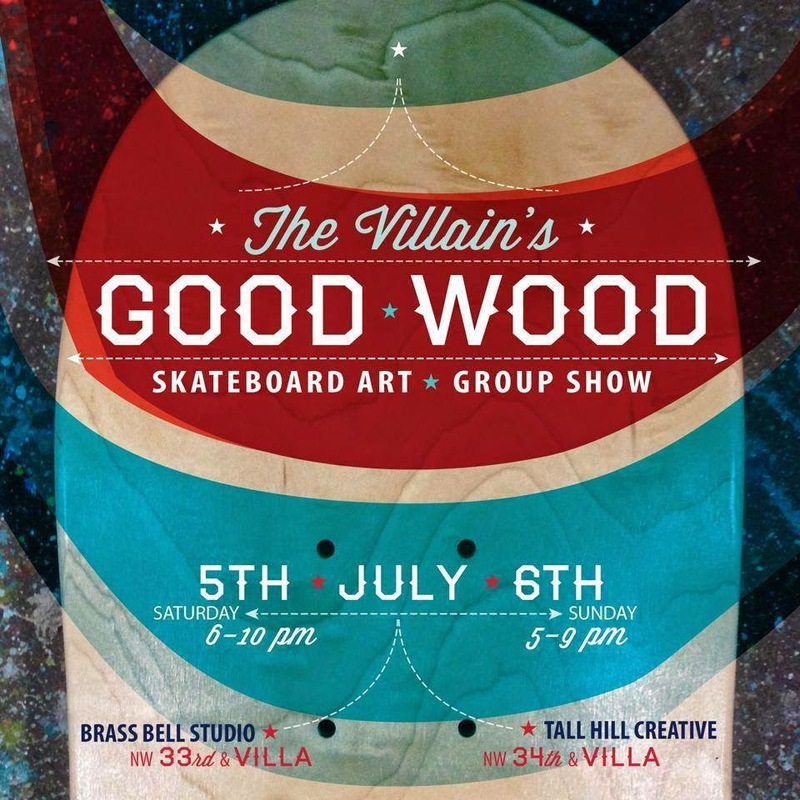 July Events, and other Things. The reason? There is a new series project in the works that is very different in comparison to the bulk of my work shown online and on my website, and it will need to be listed separately, in separate albums and folios until I fuse them together in happy art-blisssssss.... but I am about five paintings into the project so far, each at various stages of completion. I read somewhere that "the road to Hell is paved with works in progress" but I work a little faster when I have multiple pieces going, like several browser tabs open on a computer. I also have the skateboard deck I have been painting... Here is the flyer for the upcoming show where it will be displayed! So that's what has been going on lately... I have more listings in my online shop at Etsy and I am working on expanding my E-Commerce options for collectors to my main website. Etsy has announced they are taking two new European payment methods via their direct checkout option, which is available in my shop (you don't need to use Paypal to purchase). For those who follow my photography, I have added new items to my photography print shop, from our mushroom hunting this spring- and they can be customized with names or personal messages. And over at Redbubble... there are now Throw Pillows! I have already had a few buyers message me about these saying they like the materials and sizes so thanks RB for doing a good job with these! 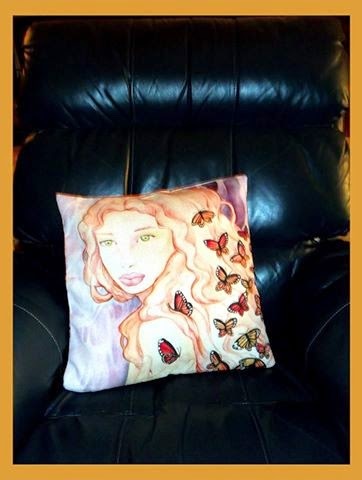 Here is a photo of one of my paintings printed on a throw pillow from my RedBubble Shop, after it was received from the collector.